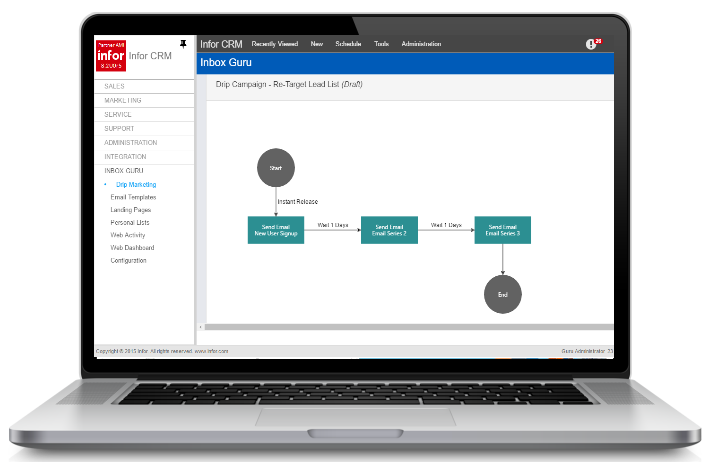 Have you considered the benefits of choosing a marketing automation solution that not only fulfills your email marketing needs but is also pre-built inside of Infor CRM? 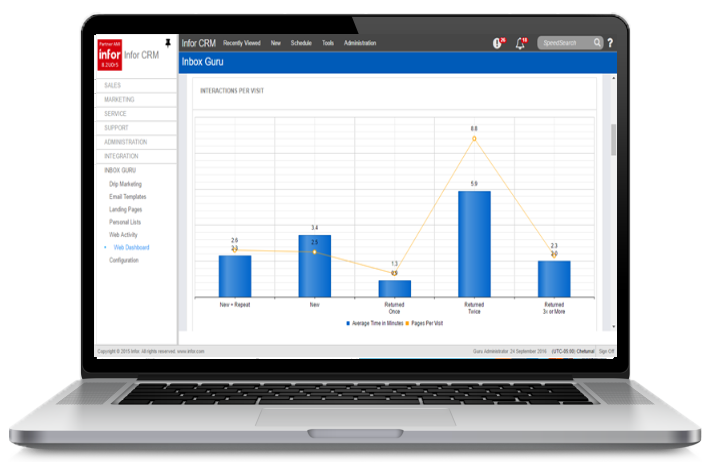 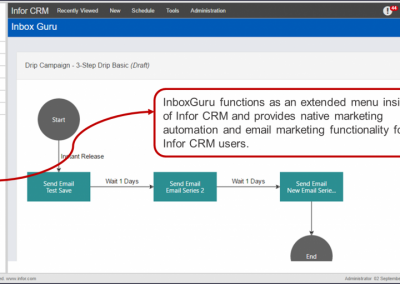 Meet InboxGuru, marketing automation for Infor CRM that hits all the right notes: email marketing, nurture marketing, web forms, website visitor tracking, and sales and marketing alignment workflow, all embedded in Infor CRM. 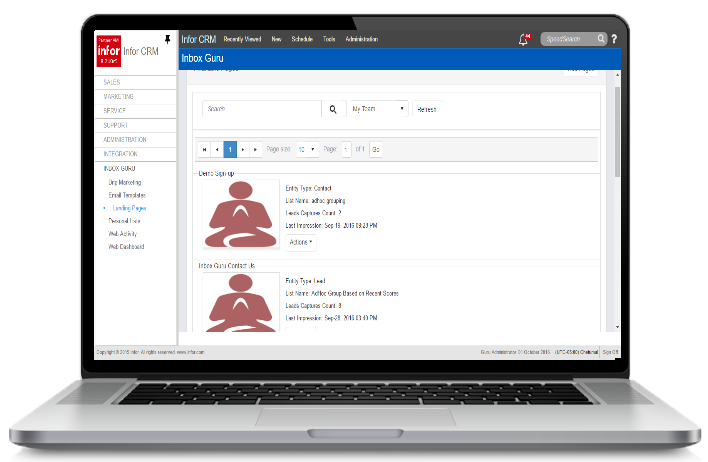 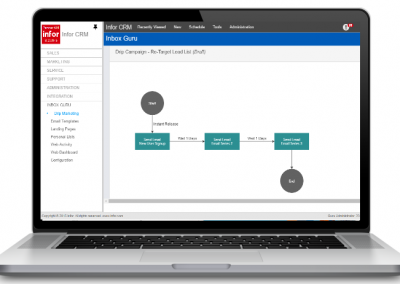 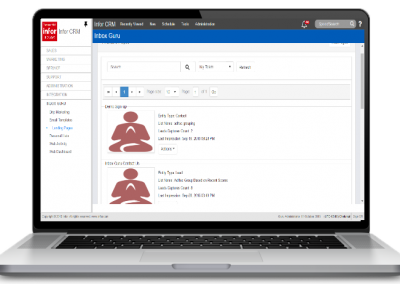 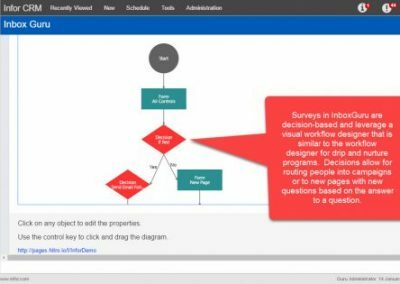 Having InboxGuru embedded in Infor CRM means users don’t have to toggle between separate systems, there are no external lead or contact lists to sync, and you have real-time views of both dynamic and ad-hoc groups. 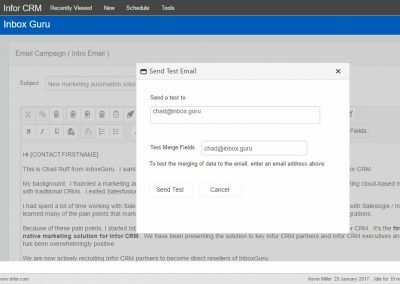 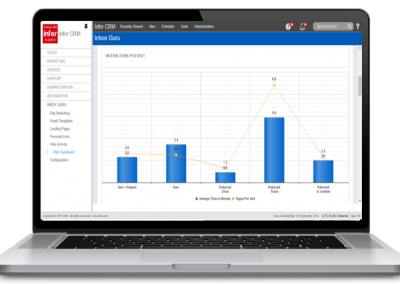 Choosing InboxGuru for your marketing automation gives you the features you need while ensuring ease of use for your Infor CRM users.